Storied places and companions infuse this deeply moving book of earthly encounters. This is not travel writing in any conventional sense, but home writing attuned to the bumptious motions of living and dying together of diverse human and nonhuman peoples. These are stories that can nurture response-abilities in our urgent times. 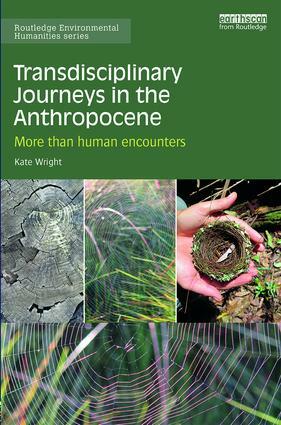 This book is a major contribution to the emerging field of the Environmental Humanities. It is a field founded on the idea that knowledge is forged on troubling journeys, not just applied to problems by masterful humans in order to extract solutions. Wright has invented a kind of subjectivity, with both a mode of knowledge composition, and a tone, that are crafted in interspecies relations. The Environmental Humanities are here relaunched on a new journey, generating hope through generous thought in a spirit of trust. Wright’s study is intimate and moving, a deeply personal account of her love for one particular place under the sun, even as she engages in a tough-minded, critical rethinking of her entanglement in a history permeated with genocidal and ecocidal legacies. We need a lot more studies like this one. Wright exemplifies the kind of imaginative intellectual thinking that we need right now to live in a world that depends upon relationality. Sure this book will make you think differently but it will also make you feel very, very connected!